The future is now. Voice has become the most exciting interface for interacting with consumer electronics, from tiny wearables to large appliances. Driven by advancements for the smart home and more broadly consumer IoT, smart speakers, smart thermostats, and smart lighting are quickly advancing due to AudioSmart far-field voice technology. Throughout the voice revolution, Synaptics has been bolstering its industry-leading portfolio of advanced audio hardware and software solutions designed to help today’s always-listening voice-enabled devices hear and be heard better. 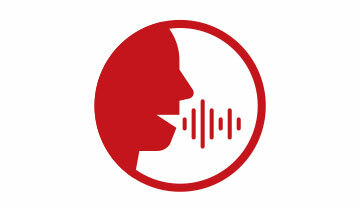 Synaptics offers the industry’s leading far-field performance for speech recognition systems, enabling seamless voice control of devices from up to five meters away. 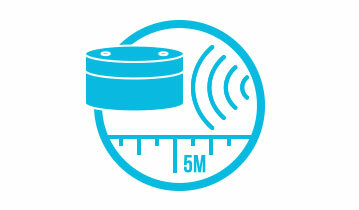 AudioSmart® 2-mic and 4-mic advanced voice processing solutions offer comparable performance with fewer microphones. Reference designs, drivers, and tuning tools are provided to expedite product development. 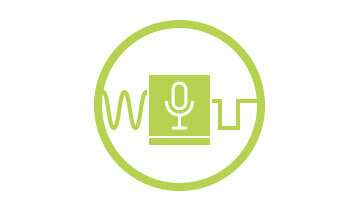 Synaptics voice solutions are designed to work with all ASR engines. Looking to create products with Amazon Alexa? The AudioSmart 4-mic and 2-mic development kits enable anyone to quickly prototype and develop high-performance far-field devices with Amazon Alexa. Develop intelligent assistance across your ecosystem of smart devices using the Cortana Devices SDK and Synaptics AudioSmart far-field voice DSPs. Designing with Synaptics empowers your devices with pre-certification of Cortana and Skype. Synaptics' far-field voice processing algorithms enable OEMs to deliver compelling user experiences, such as hands-free voice control, even during media playback. Synaptics' turnkey hardware and software voice processing solutions are designed to enhance voice communication and automatic speech recognition (ASR) performance in real-world, noisy environments.